This is a difficult post to write, I’ve been in paid work in some form or another for over 40 years, 30 years in traditional employment and 16 of those with CSC. It’s mostly been an incredibly fulfilling and enjoyable experience and it’s with some sadness that I’ve allowed it to come to an end. It helps that I’m voluntarily withdrawing from the world of work and that I’m financially secure, but it’s still a bit like embarking on a journey for which I’m poorly prepared along a path that’s not well trodden. Retiring at 51 essentially means that I’m embarking on a lifestyle that I need to be able to sustain for another 30 years, at which point, perhaps, I will be entering my old age and trundling along for another few decades. Thirty years is a long time, there’s going to be many changes in the world during that time and I need to be adaptable enough to find something fulfilling to do for all this time. During my thirty years in traditional work I’ve changed jobs in some substantial ways about every two years, that’s over fifteen jobs in my working life. I’ve needed all those job changes too, because each one has become stale for me after a couple of years and I’ve needed the injection of energy that comes from change. As a result my retired life needs to be one devoted to learning and challenge as well, but wrapped around a core of relaxed acceptance that’s required to manage my health. I’ve given a lot of thought to my last day. I’m already overwhelmed by emotion as I draft this post and that’s not been helped by all of the kind comments via Facebook and email over the last few days. My Asperger’s means that too much emotion essentially incapacitates me, I’m unable to speak or even think clearly. My first response then was to run away, to spend my last day at home, avoiding the people and places that have come to mean so much to me, after all, I will continue to see many of them outside of formal work. However as the time approaches, I’ve realised that it would be a shame not to mark the end of my working life in some small way. I’ve decided that I will finish my working life, in much the same way that I’ve lived it. I will start with a few hours in Caffe Nero and finish write this blog post, then I will head out for a walk along the beach, and finally I will end up on Chorley balcony, where I’ve met with so many of my friends over the years in hundreds of fascinating informal meetings. The only change will be that this time there will be cakes (come to think of it cakes aren’t that unusual) but hopefully there will be an avoidance of goodbyes! 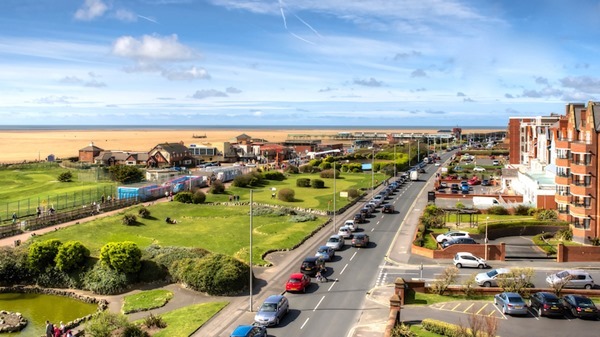 I’m finishing off this post in Caffe Nero in MY windows seat, watching a sunny St Annes come to life. Much of my future life is going to be focused on learning to enjoy the simple delights of my home town, so I decided that today’s post would be illustrated by it. Ray Pepe, Jack M. Oliveira, Simon Beare and 11 others like this. Steve Richards Where do you find this stuff smile emoticon. I’m going to be saying, see you soon! Gary Beckett The end of an era and the start of the next chapter. Steve you are a legend for your work but more importantly for your human nature and person. Mike Lee Steve I have been reflecting over the last day or so on Steve Richards the person, Steve Richards the colleague, Steve Richards the customer (they were fun days) and I agree with Gary legend is an appropriate term. Enjoy life and take care, I look forward to post s of this years harvest and maybe we will bump into each other at the Beach Terrace or Cafe Nero some time, if so the drinks are on me. Steve Richards That’s very kind Mike and hopefully we will bump into each other, i’m often in the Beach Terrace Cafe although not quite so often going forward as I’m tightening my belt a little, Caffe Nero is still a favourite though! Rob Blythe Steve, I am sure that many of the best 100 walks will be in the north west! Be sure to keep me in mind when in my neck of the woods. Was great seeing you today, spk soon. Steve Richards Quite a few Rob so I will be in touch!